Smart bulbs are energy-efficient LED light bulbs that you control from your smart phone. The lights connect to the Internet to do all sorts of cool things, like turn on automatically when you get back from work. They can interface with the Nest carbon monoxide detector and will change the lights to the best setting to see through smoke if there's an emergency. You can even make your smart bulbs change colors to match the weather using IFTTT. Light DJ works with Nanoleaf Light Panels (Aurora and Canvas), and all connected lighting products from Philips Hue and LIFX. The modular Nanoleaf Light Panels create light exactly how you imagine it. Introducing Nanoleaf Light Panels, an all-new smart lighting product designed to help you light up your life your way. Nanoleaf's modular light panels can bathe you in as many colors as there are people in New York City. Transform your home with high quality white and colored light. Play with 16 million colors and 50 thousand shades of white. Sync your lights with music, TV and games for an immersive effect. 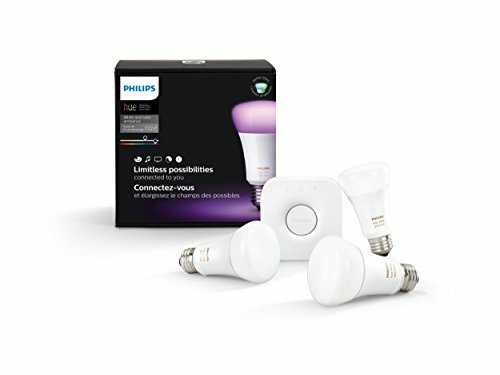 This newest generation from Philips Hue comes with improved colors (deeper shades of green, cyan and blue) and has an energy-star qualified design. Light DJ Pro for iOS is compatible with Hue Entertainment for high-performance, spatial effects. LIFX is a smart lightbulb that uses Wi-Fi to bring immersive color to your home. A simple-to-use app allows you to fine tune your lighting experience; control a single light or your entire home and enjoy strong vibrant colors along with delicate whites. 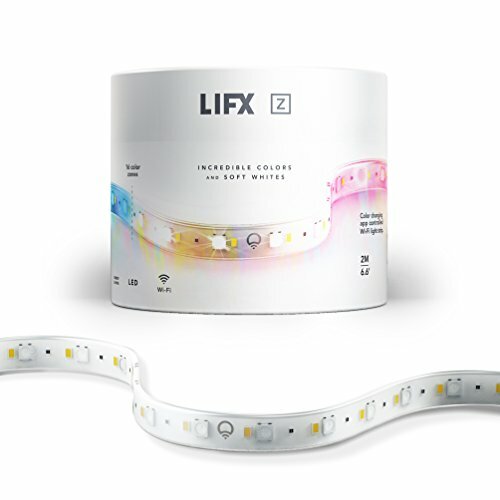 LIFX lights are engineered to provide a simple way to start designing your connected home. A single bulb contains all the technology and hardware needed to use your lights. LIFX is ready to seamlessly integrate with some of your favorite smart home products, including Amazon Echo, Nest and SmartThings.